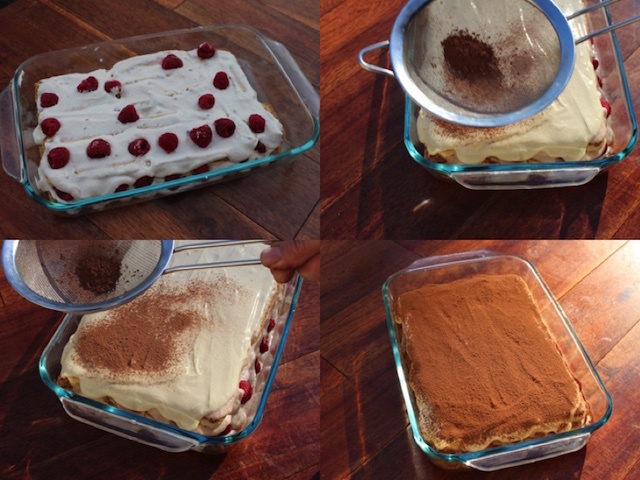 This raspberry tiramisu is indulging and pairs great with coffee or a hot cup of tea. Raspberries go so well with this creamy mascarpone cheese cream. 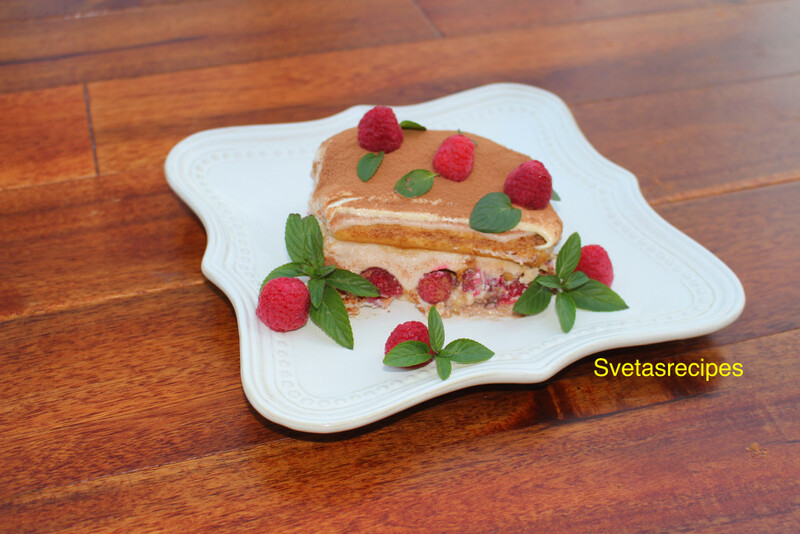 This recipe is very easy to follow and tastes delicious. 1.) Brew 3/4 cup of hot coffee (6oz); cool and add three tbsp of rum. Set aside in a large shallow bowl. 2.) Beat 3 egg yolks with 1/4 cup of sugar in a medium sized bowl until fluffy and sugar is dissolved. Then add mascarpone cheese and 2 tbsp of fresh raspberry jam and beat well. 3.) Soak the lady fingers into the coffee & rum mixture. Layer cookies into a small baking dish. 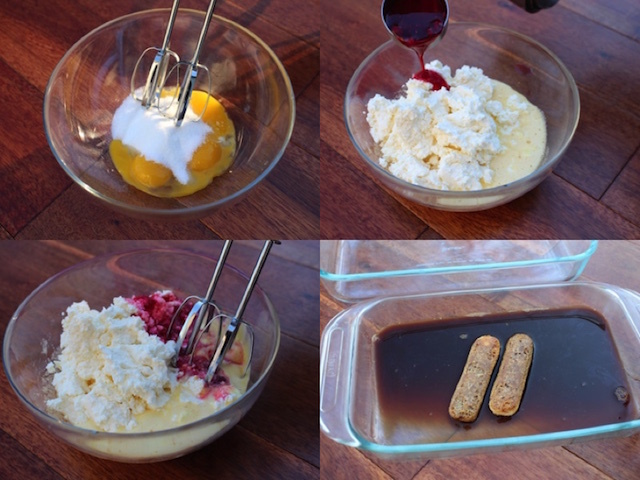 Then frost with half of the cream mixture and top with fresh raspberries. Repeat ending with cream. 4.) Then sift cocoa powder over the top layer and refrigerate before serving. 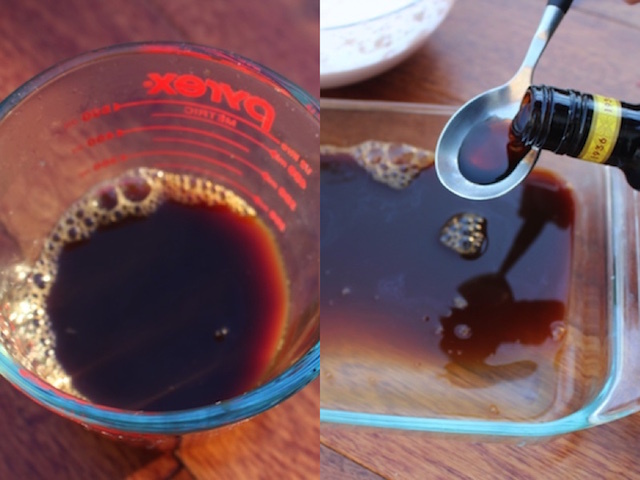 Brew ¾ cup of hot coffee (6oz); cool and add three tbsp of rum. Set aside in a large shallow bowl. Beat 3 egg yolks with ¼ cup of sugar in a medium sized bowl until fluffy and sugar is dissolved. Then add mascarpone cheese and 2 tbsp of fresh raspberry jam and beat well. Soak the lady fingers into the coffee & rum mixture. 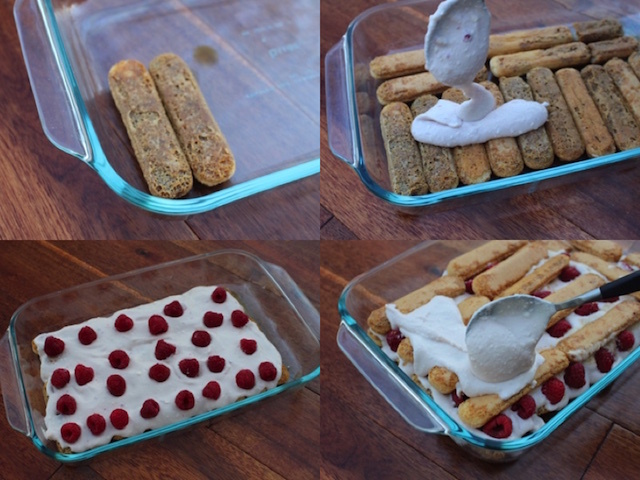 Layer cookies into a small baking dish. 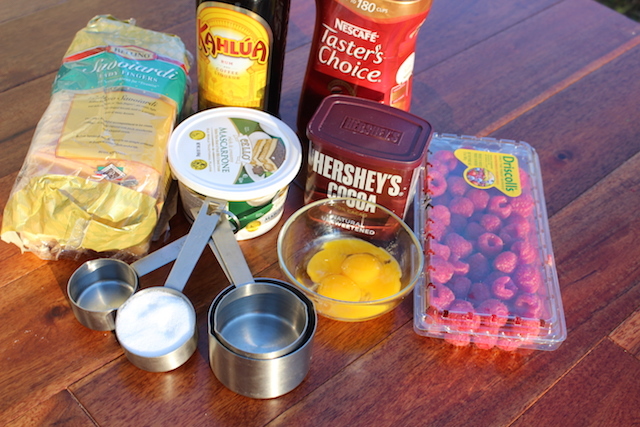 Then frost with half of the cream mixture and top with fresh raspberries. Repeat ending with cream. Then sift cocoa powder over the top layer and refrigerate before serving.